Analysis: McCown's one touchdown was his career low for any season in which he started at least one game. After a career year in 2017, he was unseated as the Jets' starting quarterback by first-round pick Sam Darnold heading into 2018. McCown will be entering his age-40 season if he decides to continue playing in the 2019 campaign. 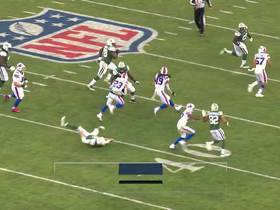 Analysis: McCown presided over New York's second drive after Sam Darnold limped off to the locker room, but Darnold was able to reclaim his spot under center after that. As long as the rookie quarterback's foot injury doesn't flare up against the Texans in Week 15, McCown should remain relegated to a bench role. McCown completed 17 of 30 passing attempts for 128 yards, no touchdowns and an interception in Sunday's 26-22 loss to Tennessee. He also rushed once for three yards. McCown will receive the start for Sunday's game against the Titans, sources tell Rich Cimini of ESPN.com. McCown is expected to serve as the Jets' starting quarterback Sunday against the Titans with Sam Darnold (foot) considered unlikely to play, Ian Rapoport of NFL Network reports. McCown (thumb/back) was a full participant in Friday's practice and won't carry an injury designation into Sunday's game against the Titans, Dennis Waszak Jr. of the Associated Press reports. McCown (thumb/back) was a limited participant in Thursday's practice, Andy Vasquez of The Bergen Record reports. McCown was limited at practice Wednesday due to right thumb and back injuries, Eric Allen of the Jets' official site reports. McCown suffered a thumb injury during Sunday's 27-13 loss to the Patriots, Ethan Greenberg of the Jets' official site reports. Analysis: McCown has earned his first in-game reps of the season the last two contests for Sam Darnold, who is tending to a right foot strain. The veteran quarterback's play has been underwhelming, as evidenced by 54 percent passing, 5.2 yards per attempt and one touchdown versus three interceptions on 79 throws. While McCown doesn't expect the thumb issue to impact his practice reps, his status will be monitored to make sure he's available in case Darnold needs another week off. McCown completed 26 of 45 passes for 276 yards, one touchdown and one interception in Sunday's 27-13 loss to the Patriots. He also rushed three times for 25 yards. With Sam Darnold (foot) ruled out, McCown will start at QB for the Jets on Sunday against the Patriots. McCown completed 17 of 34 passes for 135 yards and two interceptions while rushing once for four yards in Sunday's 41-10 loss to the Bills. Analysis: Rookie quarterback Sam Darnold wasn't the problem in New York's offense, which looked completely inept under McCown's veteran leadership. With four straight ugly losses heading into the Week 11 bye, the Jets might make changes to the coaching staff. Darnold should be back under center if his foot injury heals during the bye, but McCown would likely start again if Darnold remains out. Coach Todd Bowles named McCown the Jets' starting quarterback for Sunday's game against the Bills, Eric Allen of the team's official site reports. McCown is expected to fill in for the injured Sam Darnold (foot) as the Jets' starting quarterback for Sunday's game against the Bills, Manish Mehta of the New York Daily News reports. Analysis: The Jets haven't officially ruled Darnold out, but all signs point in that direction after he was held out of practice Wednesday while sporting a walking boot on his right foot. 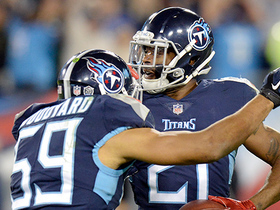 With a Week 11 bye coming up, it makes sense for the team to take a cautious approach with the rookie No. 3 overall pick and give McCown at least one start. Given how poorly Darnold has been playing of late, the 39-year-old's presence under center probably improves the fantasy outlook for all of the Jets' pass catchers. McCown will open the season as Sam Darnold's backup. Analysis: This was pretty much assumed since the Jets traded Teddy Bridgewater to the Saints, but the assignment was confirmed Monday, when the Jets officially declared Darnold their starting QB to begin the coming season. McCown completed three of eight passes for 26 yards during Thursday's 10-9 preseason loss to Philadelphia in the preseason finale. Analysis: McCown will serve as the backup to Sam Darnold with Teddy Bridgewater now in New Orleans, so the Jets opted to give the veteran some valuable reps here. While McCown failed to get much going during his four drives in this game, his success as the starter in 2017 suggests he should be able to hold his own if called upon this season. McCown is likely to remain with the Jets when the season begins after the team traded fellow quarterback Teddy Bridgewater to the Saints on Wednesday, Jason La Canfora of CBS Sports reports. Analysis: Given their respective contracts and ages, Bridgewater was always the one with the higher likelihood to get moved. Though McCown served as the Jets' primary starting quarterback in 2017 and performed admirably, he's expected to open the season as the No. 2 quarterback with the team likely to turn the offense over to first-round draft pick Sam Darnold in light of the rookie's impressive training camp. McCown once again dressed but didn't play in Friday's 22-16 preseason loss to the Giants. Analysis: As was the case in the previous game against Washington, the snaps under center were split between Sam Darnold and Teddy Bridgewater. McCown appears destined to ride the pine behind one or both of those options once the games start to count. McCown was in uniform for Thursday's 15-13 preseason loss to the Redskins, but he didn't see the field in the Week 2 preseason contest. McCown played one series in Friday's preseason opener against Atlanta, completing his lone pass attempt for four yards while adding a one-yard scramble in the 17-0 win. Analysis: McCown started but didn't see much action in this one, as the Jets wanted to get extended looks at newcomers Teddy Bridgewater and Sam Darnold. Both of those guys displayed excellent accuracy while tossing a touchdown apiece, so New York's quarterback competition remains far from over. McCown's the frontrunner to start in Week 1 at this point, but he'll have to play well in future preseason contests to keep the job. 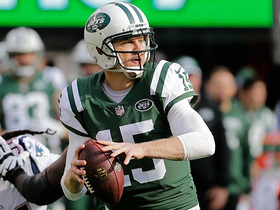 McCown (hand) will open training camp as the Jets' starting quarterback, Eric Allen of the Jets' official site reports. Analysis: While McCown will begin camp as the team's starter, coach Todd Bowles also made sure to note that it remains to be seen what happens at the end of camp. Rookie Sam Darnold and Teddy Bridgewater (knee) will surely be eyeing an opportunity at the starting job. McCown is the incumbent and has experience on his side, but his two younger counterparts should have more upside in the long run. McCown (hand) intends to help with Sam Darnold's development while also competing against the rookie for the starting job, Manish Mehta of The New York Daily News reports. Analysis: McCown figures to take the first snap with the starting offense when training camp begins, but Darnold and Teddy Bridgewater also figure to get their fair share of opportunities. McCown and Bridgewater probably knew what they were signing up for, as the Jets never bothered to hide their intention of drafting a quarterback in the first round. McCown likely has made a full recovery from the broken left hand that brought his 2017 campaign to an early end. McCown (hand) will enter training camp as the starting quarterback, but Jets coach Todd Bowles suggested the 38-year-old will need to fend off competition, Calvin Watkins of Newsday reports. "Josh will go into it as the starter, and by the end of training camp, we'll see who the starter is," Bowles said. 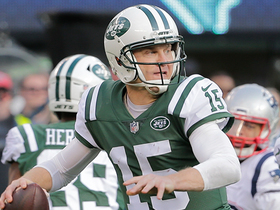 The Jets re-signed McCown (hand) on Tuesday, Ian Rapoport of NFL Network reports. 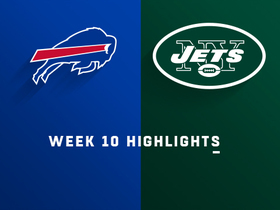 Analysis: Prior to sustaining a broken left hand Week 14, McCown provided a steady hand under center for the Jets, averaging 240 yards per game and recording 18 touchdowns versus eight interceptions over the first 12 contests of the 2017 campaign. With another one-year contract in his back pocket, the 38-year-old will continue to serve as a bridge quarterback to Bryce Petty, Christian Hackenberg or whoever the Jets select in the upcoming draft. The hand injury that ended McCown's 2017 season is "healing up," and the veteran QB indicated that he is just a "few weeks away" from being 100 percent, NJ.com reports. Analysis: The 38-year-old signal caller is slated to become an unrestricted free agent this offseason, but he's leaning toward playing again in 2018, and if so would prefer to return to the Jets. Per the report, GM Mike Maccagnan and coach Todd Bowles have both said they'd like McCown back next season, and a reunion makes sense, given that the team seems likely to draft its QB-of-the-future in April. In such a scenario, McCown would be an ideal mentor/bridge starter for the team. McCown (hand) could return to the Jets for the 2018 season, NorthJersey.com reports. Analysis: McCown's success with the Jets was one of the surprises of the year, as he completed 267 of 397 passes for 2,926 passes and 18 touchdowns before suffering a season-ending broken hand in Week 13 against the Broncos. Backup Bryce Petty, who took over the starting job when McCown went down, is unlikely to return next season, and with the Jets potentially out of range to select a quarterback with their first-round pick in the draft, McCown could return for another stopgap season. McCown underwent surgery Tuesday to repair his fractured left hand, Andy Vasquez of The Bergen Record reports. Analysis: The 38-year-old was placed on injured reserve the same day, ending what had been a surprisingly strong season for the well-traveled quarterback. Bryce Petty will start for the Jets in Sunday's game against the Saints and is expected to remain the team's top signal caller the rest of the way. Set to become a free agent this offseason, McCown's age will likely force him to settle for a one-year deal if he opts to keep his career going. The Jets placed McCown (hand) on injured reserve Tuesday, Ethan Greenberg of the team's official site reports. Analysis: Once surgery was ordered up on his broken left hand, McCown was destined to land on IR. 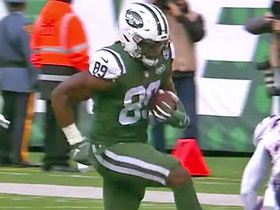 Due to his exploits this season, the Jets sit just two games out of a playoff spot at 5-8. That said, McCown's replacement, Bryce Petty, will be hard-pressed to complete such a journey. An upcoming unrestricted free agent, McCown likely earned enough clout with the organization to get another chance to serve as the bridge to a quarterback of the future. Head coach Todd Bowles said Monday that McCown will have a season-ending procedure on his left hand, Rich Cimini of ESPN.com reports. 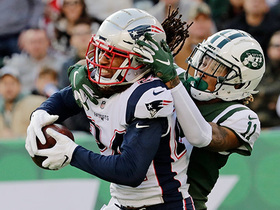 Jets wide receiver Jermaine Kearse sounded resigned to not having McCown (hand) for the rest of the season, according to Rich Cimini of ESPN.com. McCown suffered a broken left (non-throwing) hand in Sunday's loss to the Broncos, Rich Cimini of ESPN.com reports. McCown was forced out of Sunday's game against the Broncos with a left hand injury, Rich Cimini of ESPN.com reports. 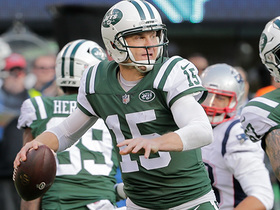 Analysis: With McCown banged up, Bryce Petty took over at quarterback for the Jets. Prior to his exit from Sunday's game, McCown completed six of 12 passes for 46 yards and an interception, while adding two carries for seven yards. 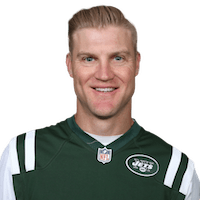 Jets head coach Todd Bowles said Wednesday that McCown will be the team's starting quarterback for the rest of the season, Brian Costello of the New York Post reports. McCown completed 26 of 36 passes for 331 yards with one touchdown and no interceptions in Sunday's 38-31 win over the Chiefs. He also rushed seven times for 19 yards and two touchdowns. McCown completed 19 of 36 passes for 307 yards and three touchdowns during Sunday's 35-27 loss to Carolina. He rushed for 28 yards on two carries, but lost a fumble. McCown completed 23 of 39 passes for 262 yards with one touchdown and no interceptions in Sunday's 15-10 loss to the Buccaneers. 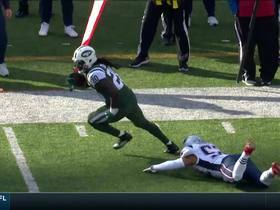 He also fumbled once and recovered. McCown completed 14 of 20 passes for 140 yards with one touchdown and no interceptions in Thursday's 34-21 win over the Bills. He also rushed five times for 13 yards and another score.